Below is an interactive slider with images of Mead from the archives (tap or drag the bar to the right and left to slide between images). The before image was taken in 1942 while the after image shows the chapel and the surrounding (or should we say obscuring) landscape as it looks today. 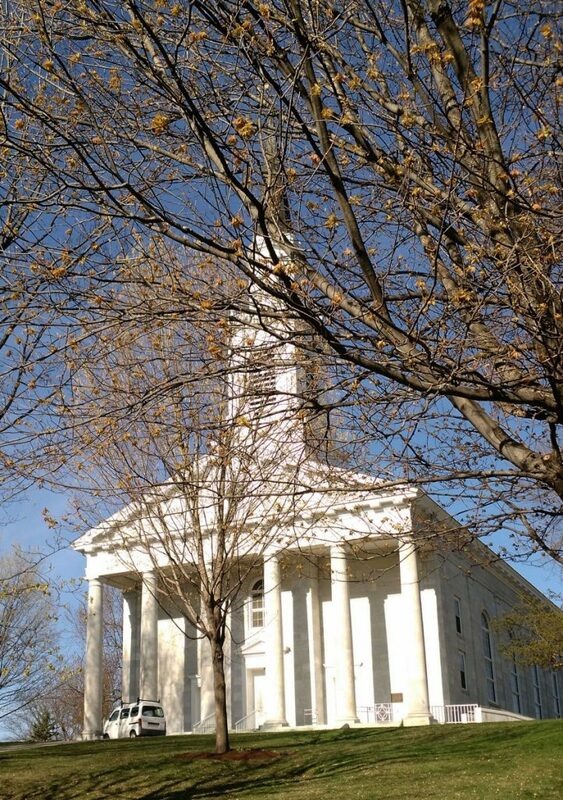 A new 48-rank chamber organ was installed in Mead Chapel in 1970 after the condition of the original had deteriorated beyond repair. Music director Emory Fanning recalled that at the start of one performance on the dilapidated instrument, 12-inch blue flames had shot out of the motor before it was turned off, a prayer for the dead was recited, and it was turned back on for the remainder of the performance — which continued without a hitch. 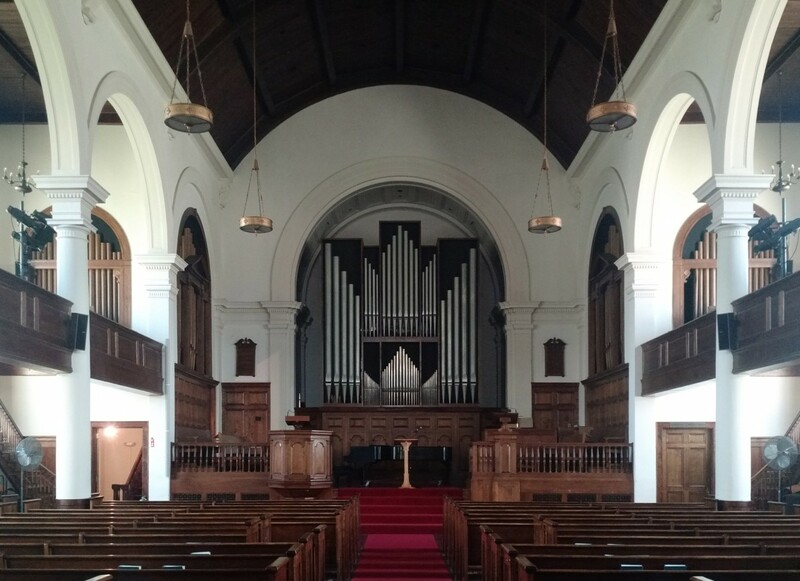 The interactive slider below shows the dramatic presence that the new organ holds in Mead, having covered up the window above the altar. 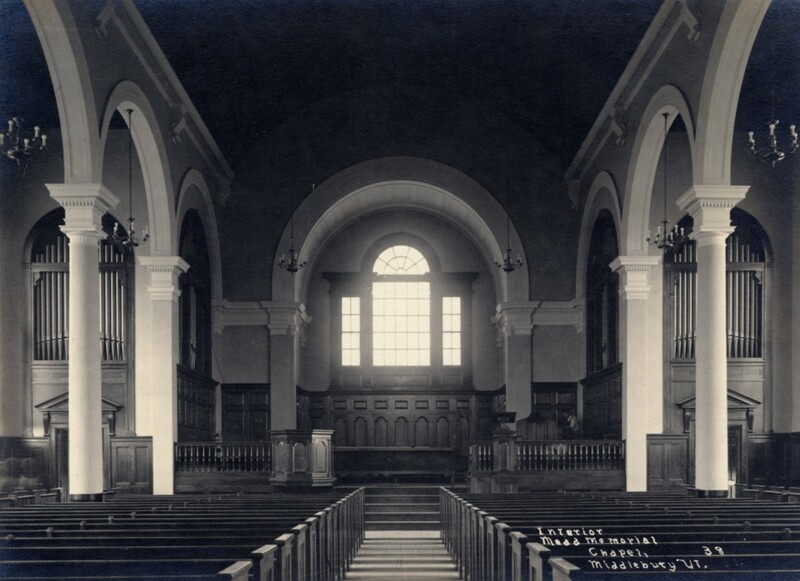 The before image is a 1919 postcard showing the interior of the chapel while the after image shows how it looks today. Other changes include balcony seating and updated lighting fixtures. 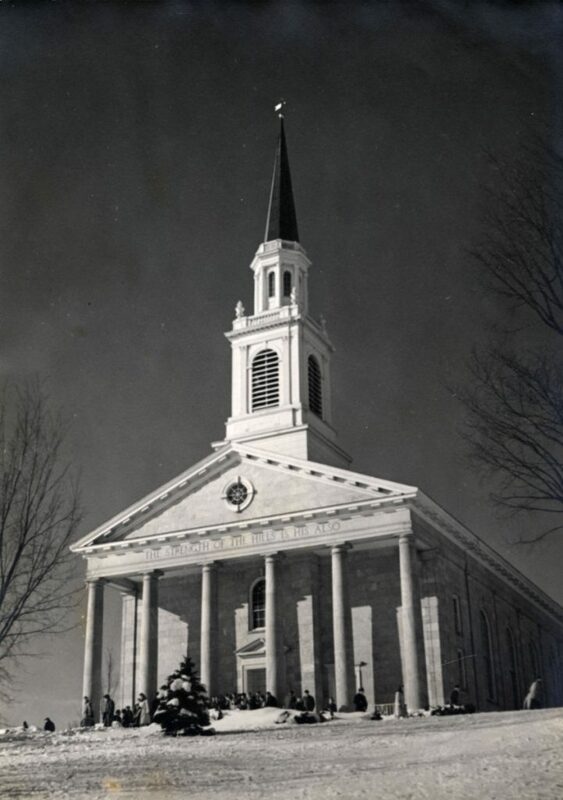 “The Organ in the Chapel.” Middlebury College News Letter, July 1, 1969.